Sarah Zhang is the newest member of the Pamenter lab, joining us this summer as an NSERC USRA student and then continuing on for her 4th year undergraduate thesis. 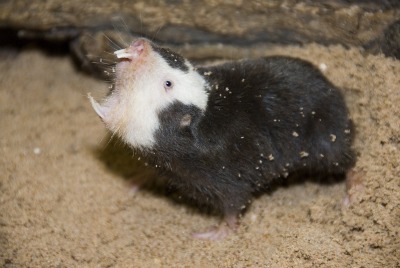 Sarah’s project will focus on understanding metabolic and ventilatory responses to hypoxia in Damaraland mole rats, a new study species in the lab. This entry was posted in Uncategorised on May 1, 2017 by Matthew Pamenter. Congratulations Chelsea, Max, and Chau!!! Chau, Max and Chelsea (l-r) have now completed their undergrad honours thesis work in the lab, including fantastic written reports and stellar posters. 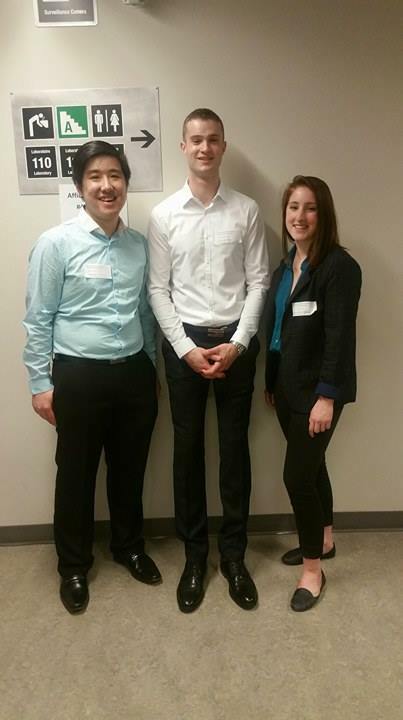 All three also participated in the annual OCIB meeting and Max and Chau also attended the undergrad research conference at Nipissing, where Max brought home a prize for the top student presentation. Great work guys!!! Now to get to work on those manuscripts for publication!